Earlier this week, trade union Solidarity claimed he was granted residency in the United Aarab Emirates. 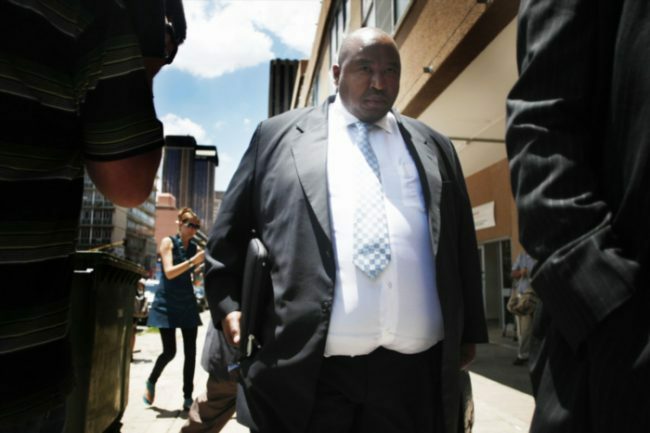 President Jacob Zuma’s nephew Khulubuse Zuma is apparently so broke he can’t afford to oppose a bid to sequestrate him and has denied living in the lap of luxury in the United Arab Emirates (UAE), as trade union Solidarity is claiming. The trade union’s general secretary, Gideon Du Plessis, said in a statement earlier this week it would follow Zuma, a former director of the bankrupt Aurora Empowerment Systems, to the UAE to ensure his assets were seized. He said the union had it on good authority that Zuma had apparently been granted residency in the UAE and was living there. Yesterday, Du Plessis said he had received a call from Zuma in which the president’s nephew denied that he had ever left the country and said he had been living at his private residence all the time. Zuma also told him he was aware of the sequestrate proceedings against him because he had failed to comply with the terms of a repayment agreement entered into with Aurora’s liquidators, but would not be able to oppose it because he was in serious financial trouble. The High Court in Pretoria ruled in 2015 that Zuma, fellow Aurora directors Zondwa Mandela and Thulani Ngubane, as well as Fazel and Solly Bhana, had to pay about R1.5 billion in damages for the destruction of Aurora’s Grootvlei and Orkney mines that cost 5 300 workers their jobs. Du Plessis said the Pamodzi liquidator’s legal representative had informed Solidarity the sequestration court papers could not be served on Zuma at his private residence because he was not living there. The security guard said he had not been there for some time. The papers could also not be served on Zuma’s lawyers because none of his previous legal representatives were able to reach him. Du Plessis said Zuma had insisted during their conversation he was the victim of a political agenda, because of his connection to his uncle, President Zuma, and the bad publicity around Aurora had ruined his business interests and future business opportunities.